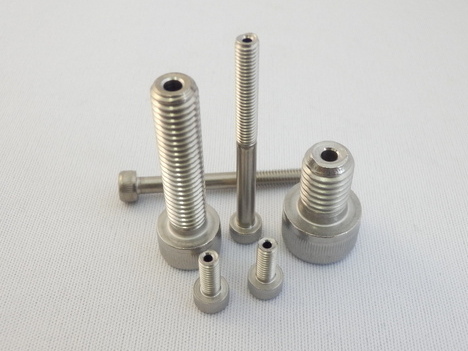 These bolts are used when air vents are required for vacuum equipment, etc. There is a through hole for letting out the air which accumulates between the main body of the device and the screw. We also manufacture long bolts. 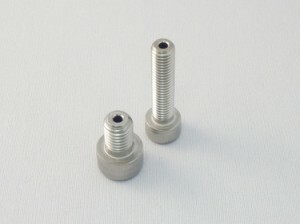 The longer the portion under the head is, the more difficult hole processing becomes.